73 Great Peter Street has transformed the site of former government offices into a development of 22 luxury modern apartments and two penthouses, plus one commercial unit. The scheme was carefully designed to reflect its historic surroundings, while forming a new piece of contemporary architecture. We purchased the 73 Great Peter Street site in 2012 following the relocation of government offices in September 2011. For the delivery of the 24 residential units we employed the contractor McAleer and Rushe on a ‘design and build’ contract. As well as providing a range of high-quality homes, we also made significant contributions totalling nearly £600,000 to Westminster City Council, including £550,000 towards affordable housing in the local area. 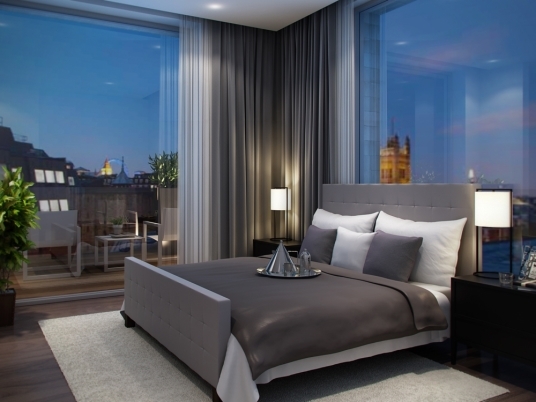 The design of 73 Great Peter Street was intended to be a sensitive addition to this historic part of Westminster, drawing from the past while forming a beautiful piece of contemporary architecture. Darling Associates Architects undertook a study of local building styles and materials which showed the area to have a predominant use of red or buff brick, with various decorative elements often incorporated to add depth and interest to the façades. The 73 Great Peter Street development was strongly influenced by its surroundings, with decorative brick panelling and bronze coloured styled windows framing the setting for the apartments. 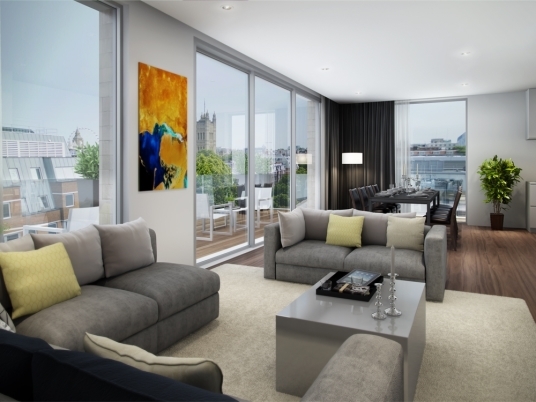 Set over seven floors, this development offers magnificent views of the capital, both new and old, taking in the likes of Big Ben, the London Eye, and The Shard, to name but a few. The use of precast brick panels, which were manufactured off site and then craned into position, reduced construction time and disruption to the local area, while also achieving consistency and a high-quality finish. All the new apartments achieve Code for Sustainable Homes Level 4+ and the new commercial unit has a BREEAM ‘Excellent’ rating. To achieve this, a central plant room with a combined heat and power engine was installed to serve the homes, along with solar photovoltaic panels, which reduce energy demand by 20.42% for the whole site. The design of the development increases biodiversity within this brownfield site, which previously comprised buildings and hard surfacing. The introduction of green/brown roofs and the general landscaping of the site has helped to create new habitats for insects and birds. Bird and bat nesting boxes were also provided to maximise biodiversity opportunities on the site. In addition to the above methods of sustainability, we also used a range of environmentally sustainable and recyclable materials – for example, 30% recycled content was incorporated into the building as a whole, while all timber products were certified by the Forestry Stewardship Council (FSC). The scheme provided 15 car parking spaces with provision for the charging of electric vehicles, while there was a commitment to providing a contribution for each apartment without a parking space to a car club scheme. Litter picks in the Great Peter Street general area. During the planning process for 73 Great Peter Street we held several community engagement events. One public exhibition took place over two days, at which local people were able to comment on our proposals and planning application using a specially designed questionnaire. 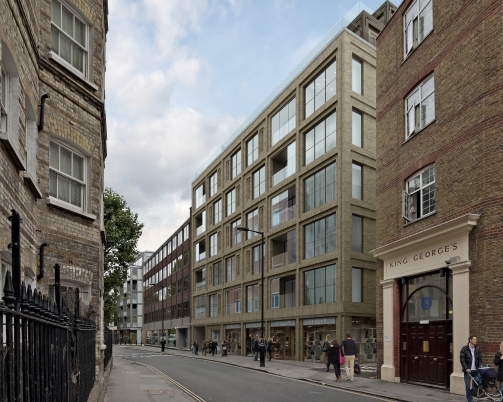 We submitted our planning application to Westminster City Council in January 2013. The planning committee granted planning consent in June 2013, and we signed the Section 106 Agreement in May 2013. The construction of the development was completed in June 2015 and is now fully occupied.